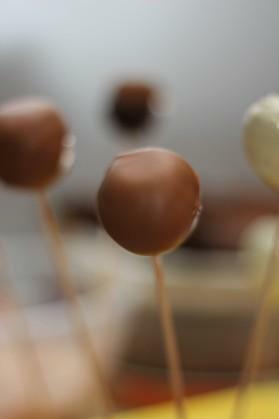 Cake pops are great treats, kids and adults both love them and they are extremely fun and easy to make! They could be used for all sorts of occasions, birthday parties, weddings, pretty much anything! 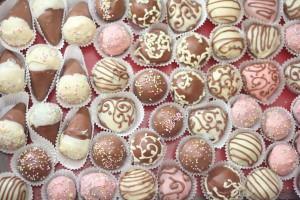 Cake pops were originally made by Bakerella, they can now be found in Starbucks and many bakeries. Place cake in food processor to make fine crumbs. 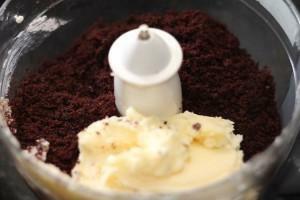 This can also be done by hand but I prefer to use a food processor to create a more even texture. Add enough frosting to make the mixture smooth, pliable and able to hold its shape. Make round balls or use a cake pop mold to shape. 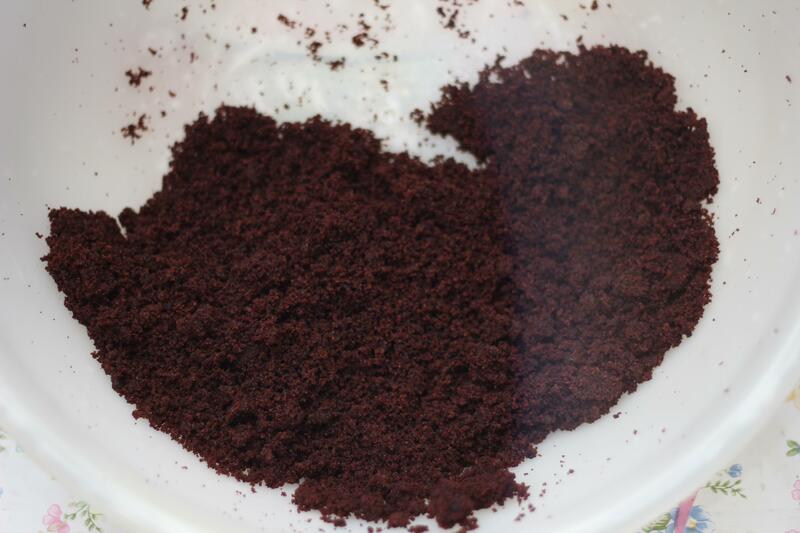 Place in fridge till firm. 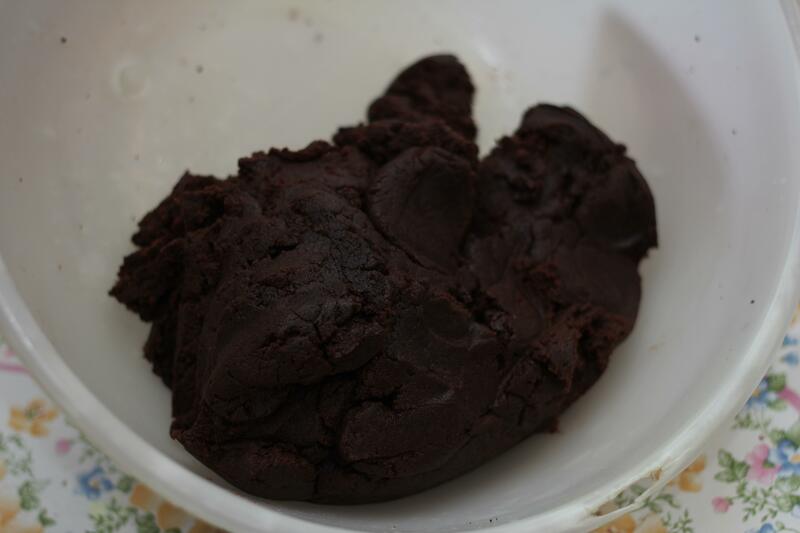 Melt chocolate in microwave or use the double boiler method. 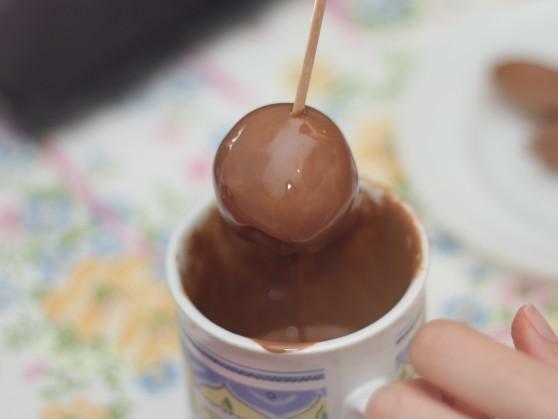 Dip the cake pops into the molten chocolate. Gently tap cake pop to remove any excess chocolate and let it stand in Styrofoam or place on a grease proof paper and let dry. 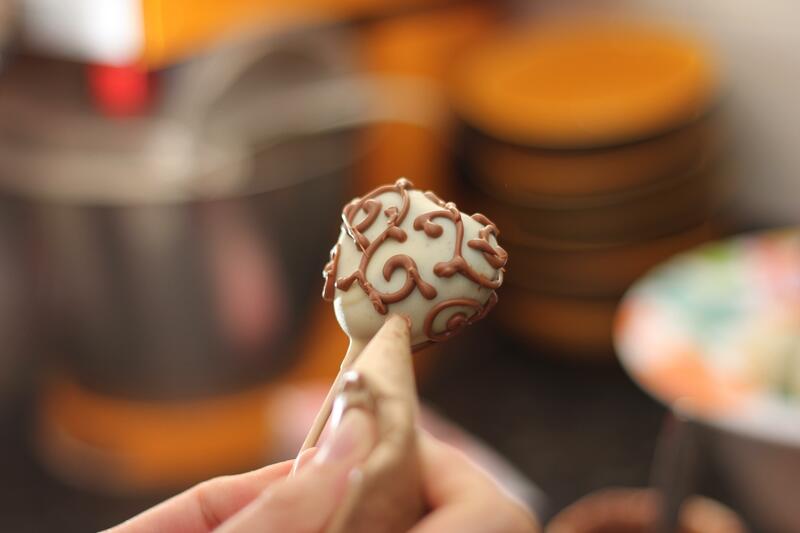 I decorated the cake pops using a cone with melted chocolate. I hope you enjoyed this post. 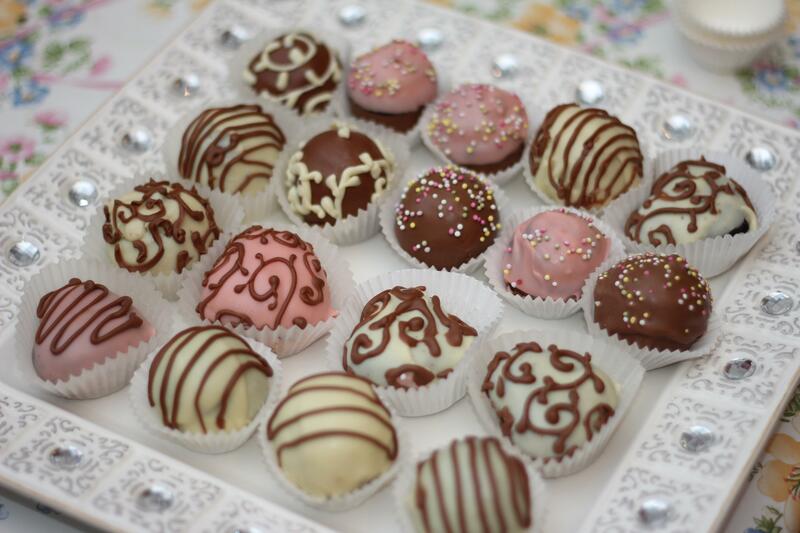 If you have any tips or tricks for making cake pops or for my blog, I’d love to hear them! I just came across this blog through blogger.com. These cake pops look briliant! I can’t wait to try making them! 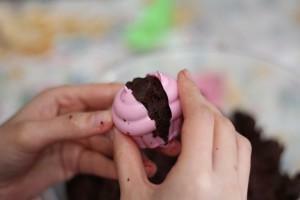 I’m making treats for my daughters’s birthday party, these would be great for the kids! They tasted as lush as they looked!